Score a $1-off coupon to satisfy your cravings...food-related, that is. 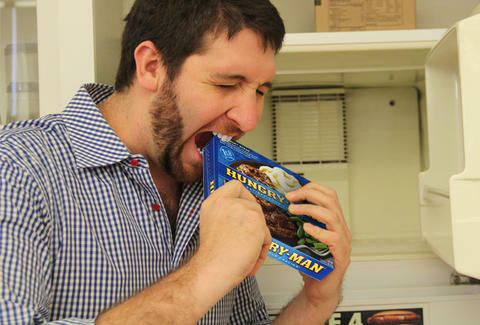 Remember those Hungry-Man® meals from your youth, those microwaveable belly-fantasies that delivered a solid pound of tasty straight to your face in mere minutes? Then why, now that you are a man, are you eating "small plates"
So nice. To make that dream a reality, “Like” Hungry-Man® on Facebook and score a $1-Off coupon -- or as they say in England, a solid pound.